Toodaloo Katie: Weekly Outfits Wish List - Pastels! Weekly Outfits Wish List - Pastels! It's that time again -my weekly outfit wishlists! This week I want things from Boohoo's new plus collection, Matalan and Simply Be! I am so obsessed with pastel colours, in case that isn't obvious by my outfit choices and am so happy to see so many lovely Spring colours. Boohoo Plus is the answer to all my tshirt dress dreams, and while I wait for the tie-dye jeans to pop up on the website I desperately want this entire outfit. 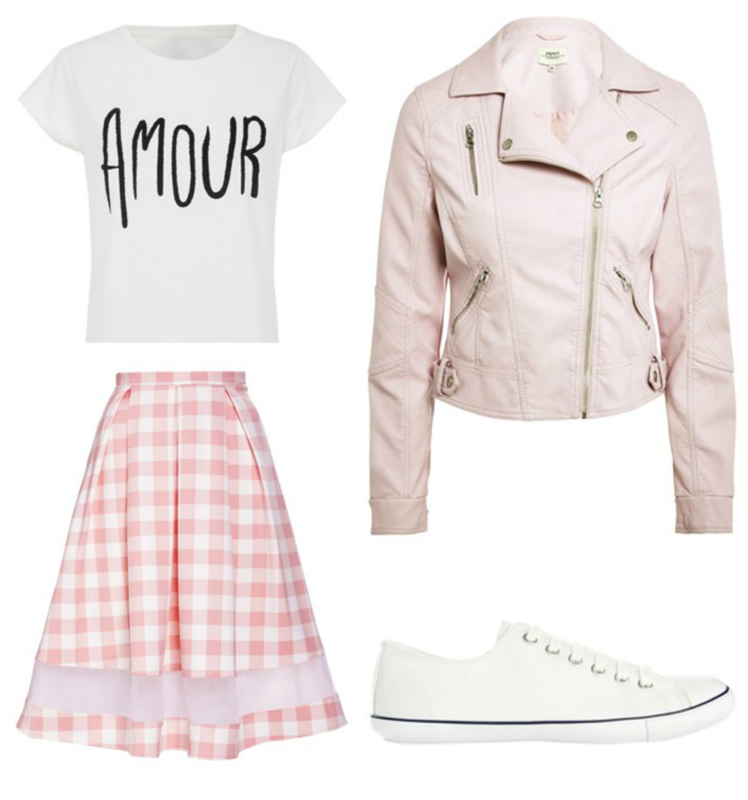 Although I have been eyeing up a pink pleather biker jacket from SimplyBe, my budget is tight at the moment and this light one is super cute and more on budget. I also cannot get enough of this gingham skirt. I love that acid wash is back in, and I would pair it with lace and pastels. Do you have pastel picks for this week?